Daniele's research focuses on developing, implementing, and assessing the effectiveness of water and sanitation interventions in developing countries and emergency contexts. She earned her bachelor's and master's degrees in environmental engineering from the Massachusetts Institute of Technology in 1996 and 2001. She received her Ph.D. from the London School of Hygiene and Tropical Medicine in 2011. Between her degrees she worked as a Public Health Engineer at the Centers for Disease Control and Prevention (2003-2010) and the Programs Director of the Ipswich River Watershed Association (1997-2000). 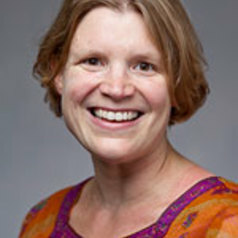 She comes to Tufts from a Post-Doctoral Fellowship in Sustainability Science at Harvard's Kennedy School of Government. Since 2000, she has provided technical assistance to, and evaluation of, water treatment programs in more than 40 countries in Africa, Asia, and Central/South America.